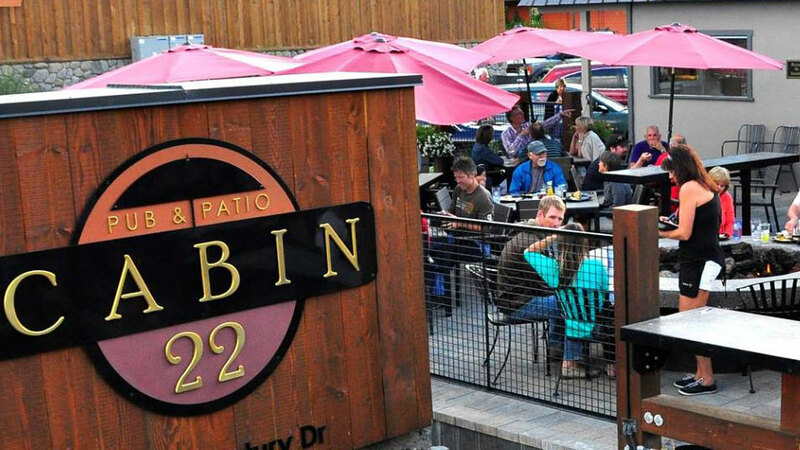 With two gigantic fire pits out front, a lot of seating, a dog friendly vibe and hanging flower baskets in the summer, it’s no surprise that Cabin 22 has been voted “Best Patio in Bend” by readers of the source weekly more than once. Its location on Century Drive, a straight shot from the mountain, means it attracts a robust apres ski crowd, and the wide range of rotating beers and delicious menu keep people there. Part of the location’s appeal is its proximity to so many homes, meaning it attracts a good population of neighbors and vacation renters who are within walking distance. While they have a fairly typical pub-style selection–think pizzas, a variety of burgers, and nachos– the quality of the food is unusually good and has attracted a loyal local following. They also feature some interesting mixed drinks, including kombucha cocktails featuring locally made Bucha Buena. It is a sports bar, so expect a lot of TVs tuned into the latest game.